On 5/18/2017, this Ty Beanie Baby sold for $157.50 plus $6.65 for shipping on eBay. ERROR! 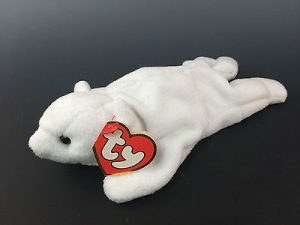 Chilly Polar Bear TY Beanie Baby 3rd Gen Hang/1st Gen TushTag UPSIDEDOWN!